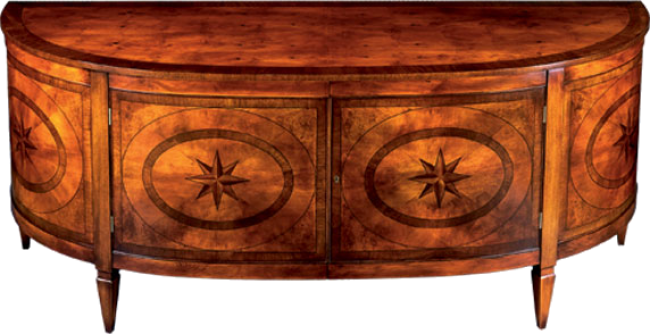 Bow-shaped cabinet with inlays of Rosewood, Satinwood, and Ebony. Fixed shelf behind two center doors with antiqued solid brass hardware. Pictured in Yewwood. Also availabe at 72"W X 27"D x 34"H or 84"W x 27"D x 34"H.